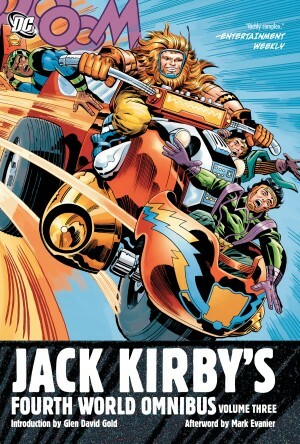 It is pretty much considered a given that few others in the comics field have cast as long a shadow as Jack Kirby. To put this into perspective, during his period with DC from 1971-1975 he established dozens of characters, settings and plot elements that are still in play to this day. Most of these efforts bloomed under what became known as his “Fourth World”, a connected series involving four monthly titles Jimmy Olsen, New Gods, Mister Miracle and The Forever People. 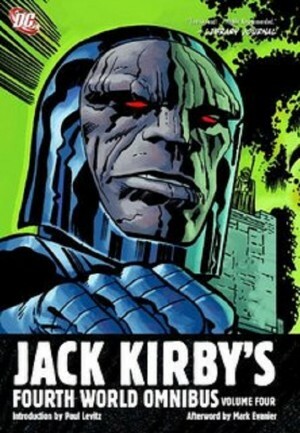 Grandiose, exquisite, occasionally apocalyptic, these left Kirby’s rather formidable mark upon the DC universe. The object of this series was to represent Kirby’s material in the order of original publication, so this first volume begins with several issues of Jimmy Olsen. Kirby was perhaps the only artist/writer who managed to make the title highly readable, and was handed the assignment on arrival at DC when he specifically asked to work on their poorest selling title. 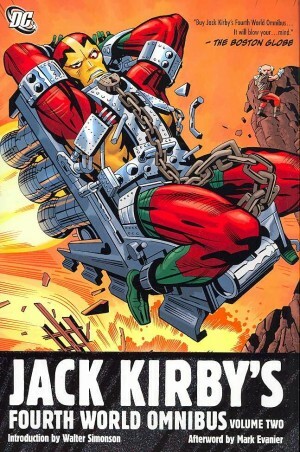 Kirby used Jimmy Olsen as the launching point for several of the Fourth World concepts he would expand upon in the companion series. The stories not only involve Superman in an interestingly restrained manner (rather than the usual deus ex machina expected of him), but also re-introduce characters Kirby had created in a previous spell at DC during the 1940s. Updated versions of both the Guardian and the Newsboy Legion are introduced into the modern DC milieu. 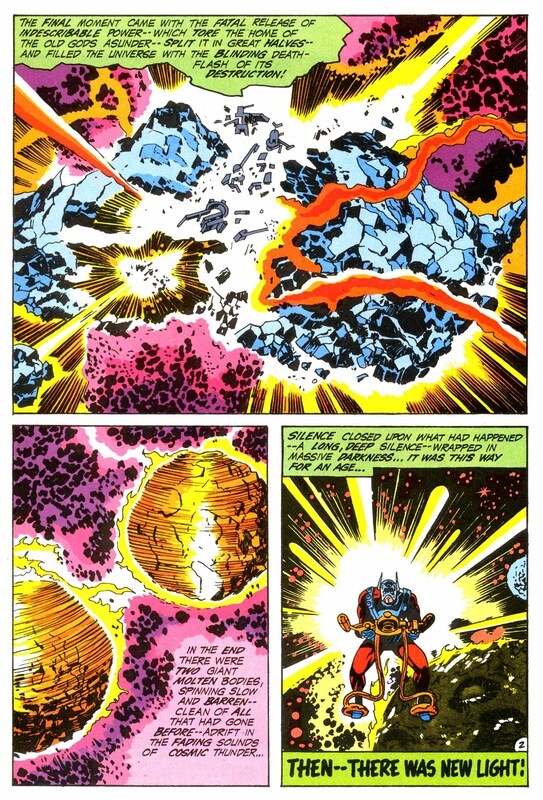 Here is also found one of the small drawbacks in Kirby’s otherwise prodigious talent. Although he would later redeem himself with characters such as the Black Racer, and Vykin the Black, Kirby’s ability to create formidably positive black characters and his penchant for cute names was occasionally off-focus, as demonstrated by the Newsboy Legion member rather embarrassingly known as “Flipper Dipper”. 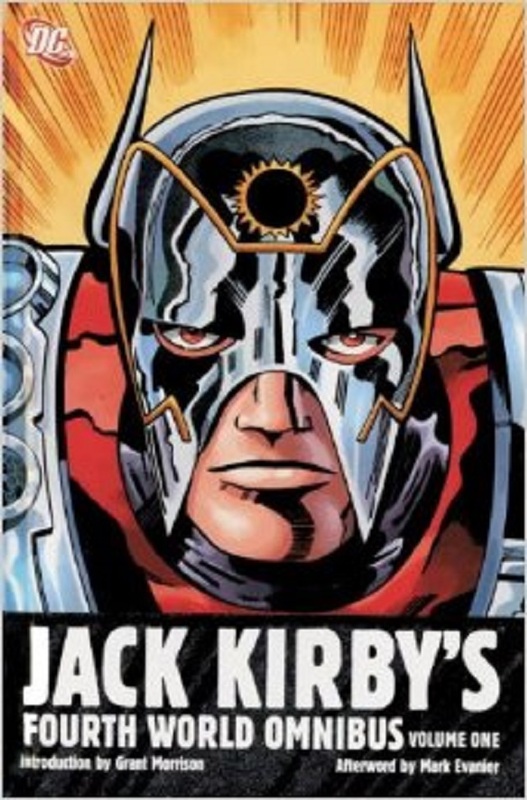 The collection also includes the first New Gods story: a production for which the term “Wagnerian” would serve as a very close fit (invoking echoes of his work on Thor for Marvel Comics). Also included are the first Mister Miracle and Forever People stories, all of which carry Kirby’s trademark grand operatic style. 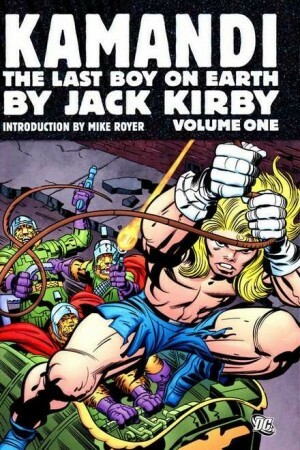 The collection provides the foundation for what was to follow, which would include some of Kirby’s most memorable work.